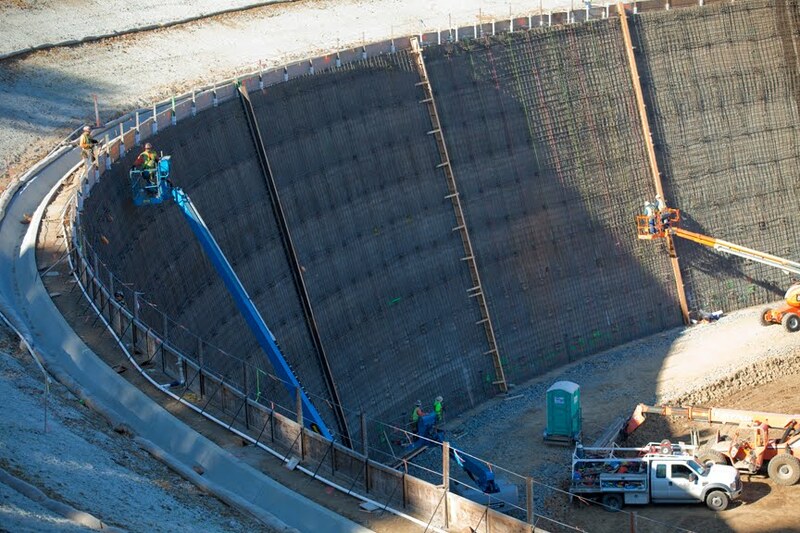 Sunol Water Treatment Plant Expansion | Inspection Services, Inc. This San Francisco Public Utility Commission plant is located on Alameda Watershed in Sunol Valley. Originally constructed in 1966, on 3.2 acres in Sunol Valley, east of I-680, the facility now covers 9 acres and treats water from Hetch Hetchy, Calaveras and San Antonio reservoirs for hundreds of thousands of customers in Alameda and Santa Clara counties. The project added a new treatment plant, retrofitted existing filters, created a 17.5 million gallon circular balancing reservoir for treated water as it leaves the plant. The project also included new 48” diameter welded pipe connections and facilities that enable the plant to treat enough water to meet basic customer demands for 60 days after a major earthquake, such as an emergency generator and improvements to the electrical system and substation. Inspection Services Inc. provided special inspection and testing services for the $140 million construction project, including field inspecting and testing and laboratory services.